We would be delighted to answer any questions you have about the properties or the area. Please get in touch using our enquiry form. 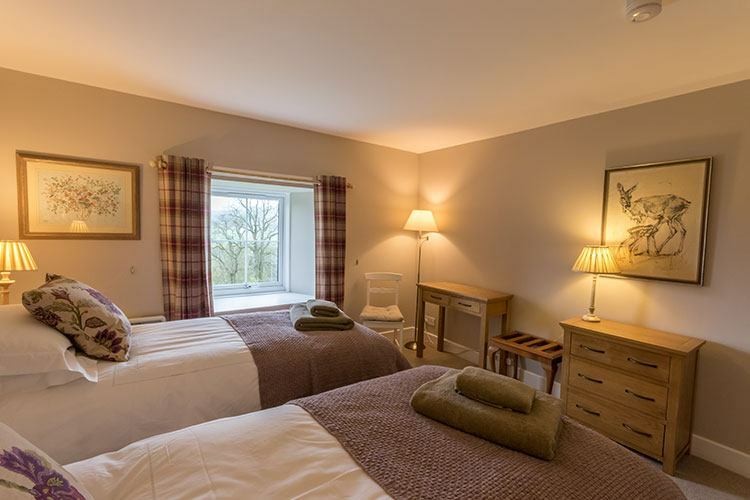 Aodin is a beautiful 4 star property on a 4000 acre farming and shooting estate in Strathtay. 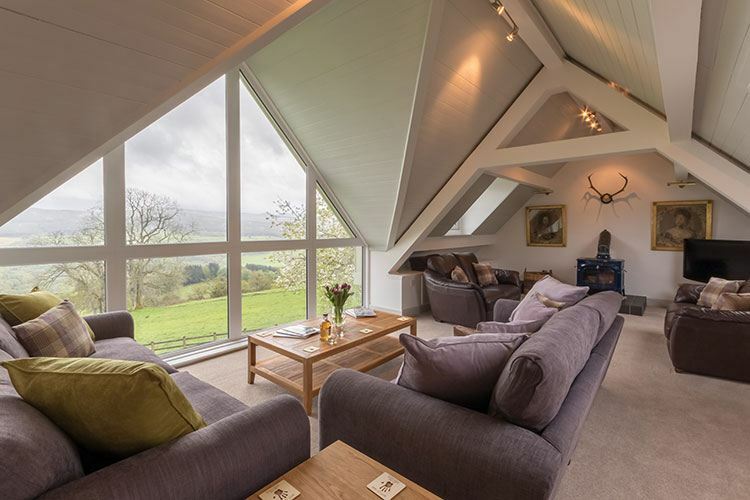 Enjoy breathtaking views of the Tay Valley from the beautiful upstairs living room. Farragon, , sits to the north of the property. If you enjoy hill walking, you can reach Farragon on foot from the cottage. Aodin recently had a makeover with all new carpets, brand new beds and new furniture. 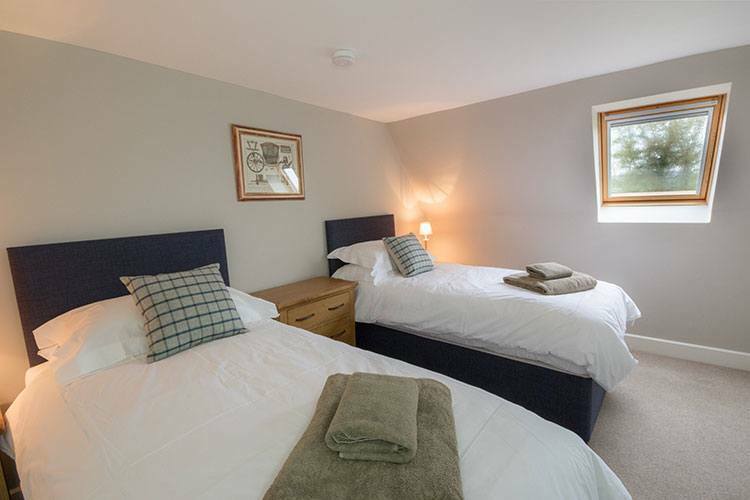 The property has two bedrooms downstairs – one king size and one with zip and link beds. 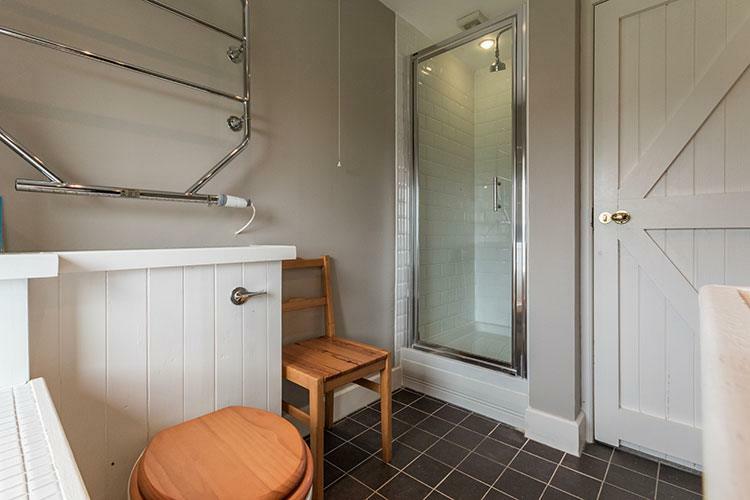 These two bedrooms share a bathroom with a bath and separate shower. 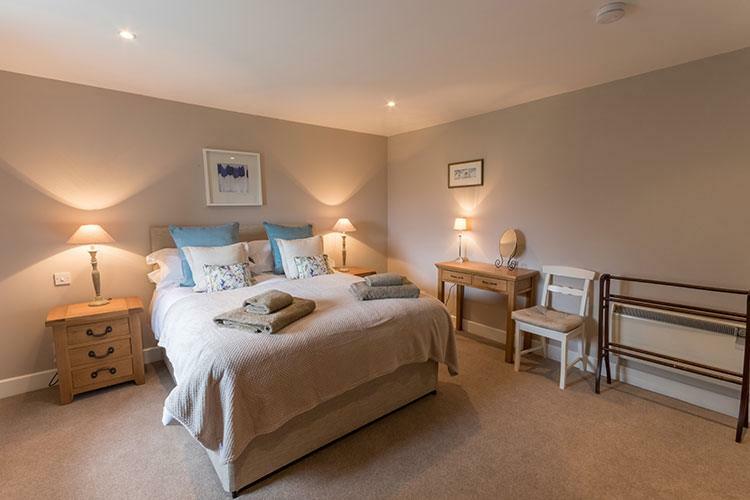 Upstairs you will find another two bedrooms – one twin and one double. 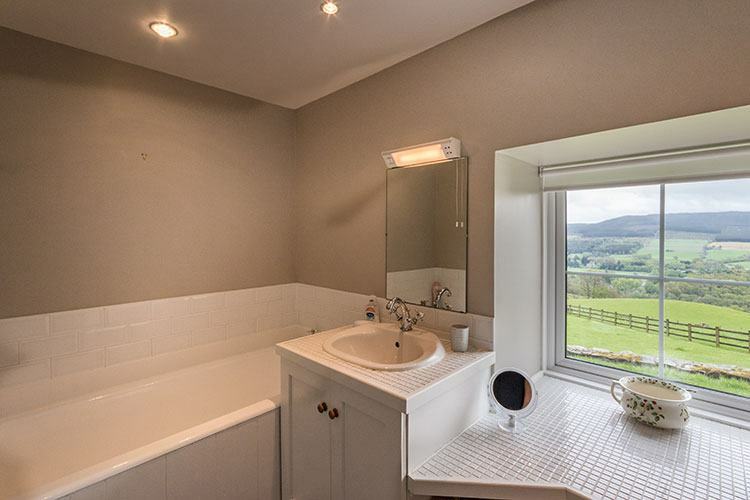 These bedrooms share a bathroom with a shower, bath and a separate toilet. Also on the first floor, you will find a lovely open living room. 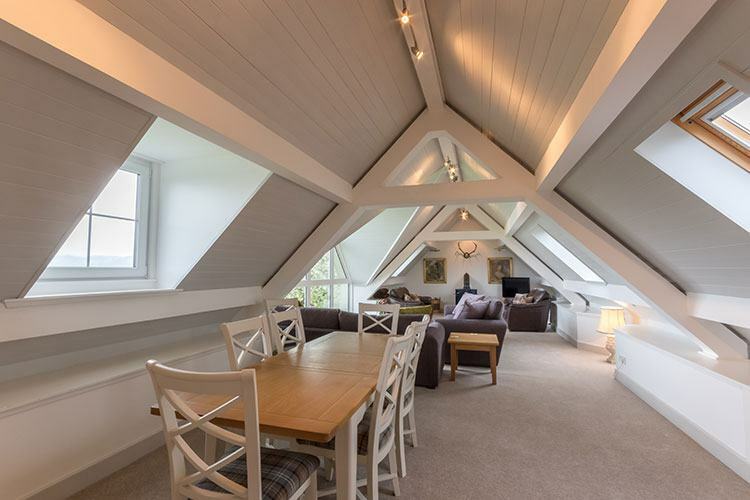 The living room has gorgeous views of the Tay Valley through huge south facing windows. This bright and airy room has two seating areas and a dining area. In addition, the living area has a wood burning stove, 50″ HD smart TV and iPod dock. 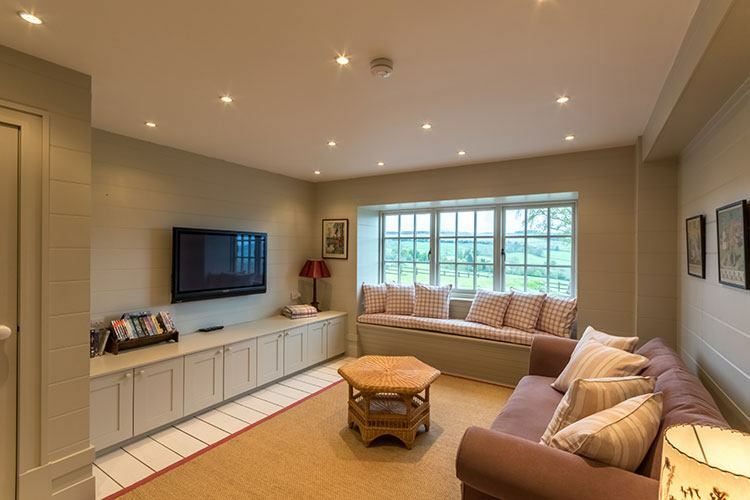 Downstairs you will find a Den with flat screen TV which makes a wonderful playroom. 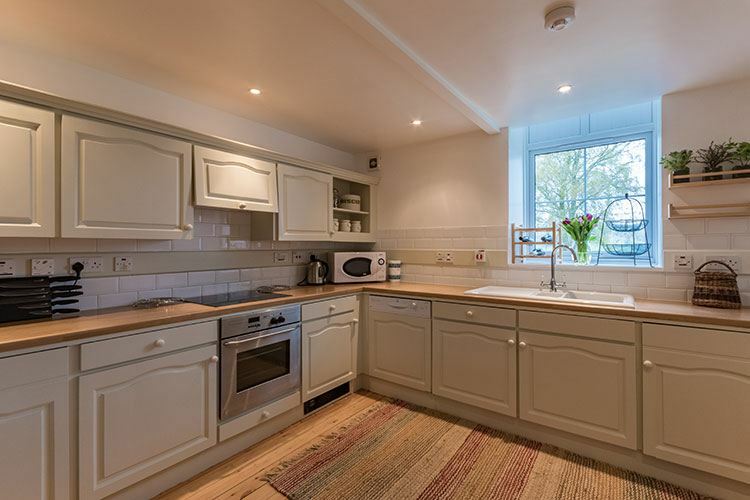 The kitchen has a large breakfast table and is well equipped for family cooking and entertaining. Outside is a large garden with picnic tables and BBQ for alfresco dining. There is also a selection of children’s play equipment. Dogs are very welcome by prior arrangement. See our dog friendly policy here. Please note that dogs must be kept on a lead when walking on the estate. Edradynate, the estate that Aodin sits on, has fishing rights on the River Tay. Fishing is available at an extra cost (by prior arrangement). 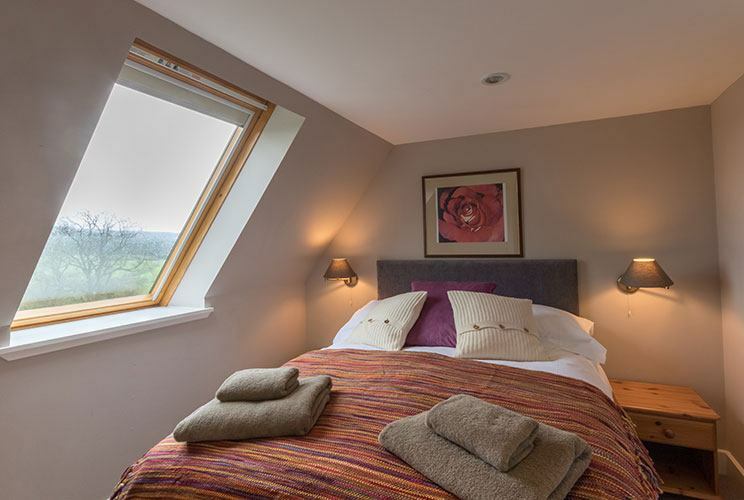 Aodin has electric heating throughout and is very cosy. Due to the location of the house, in the winter months a high set 4×4 vehicle will be essential. We are very happy to take bookings in the winter, however guests do need to understand the nature of the location. Please be aware that access issues are possible in bad weather. We require a good housekeeping deposit (GHD) of £200 in the form of a pre-authorised card payment. Please see our Terms and Conditions for full details. 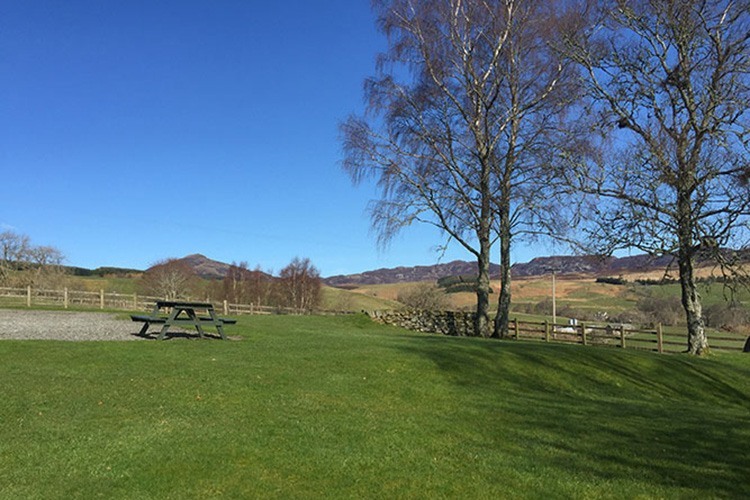 Aodin sits high on the hill overlooking the Tay Valley but is just a short 15 minute drive to the town of Aberfeldy. Aberfeldy has a wealth of shops including a large supermarket, butcher, baker, and a Deli. You will find plenty to see in Aberfeldy with gift and craft shops, an award winning book shop and lots of places to eat. Also in Aberfeldy is a petrol station, medical centre, dentist, vet, banks and ATMs and a Post Office. If you’re looking for an active holiday, there is a wide selection of outdoor activities on offer. If you enjoy golf, water sports, fishing, walking, cycling, white water rafting or even bungee jumping – Aberfeldy has it all! Nearby are numerous castles and distilleries, a community owned cinema and a Theatre. There are various festivals and music events throughout the year. Finally, the village of Grandtully is just a 5 minute drive away. Grandtully has a small Post Office, The Highland Chocolatier and The Inn on the Tay bar and restaurant. Also in Grandtully are the famous Grandtully Rapids – used for canoeing events, Olympic trials and white water rafting. The Area page has additional details of the wonderful activities and restaurants in the area. 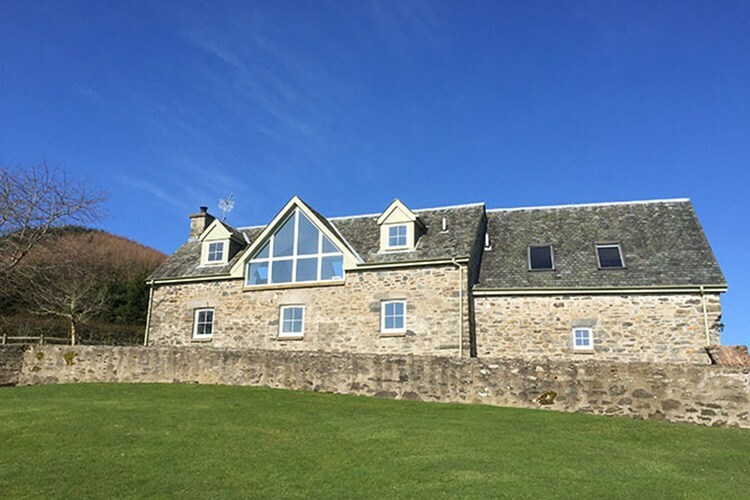 Highland Perthshire Holiday Homes specialises in holiday homes in the Tay Valley and Kenmore area. All of our properties offer the best in location and facilities.